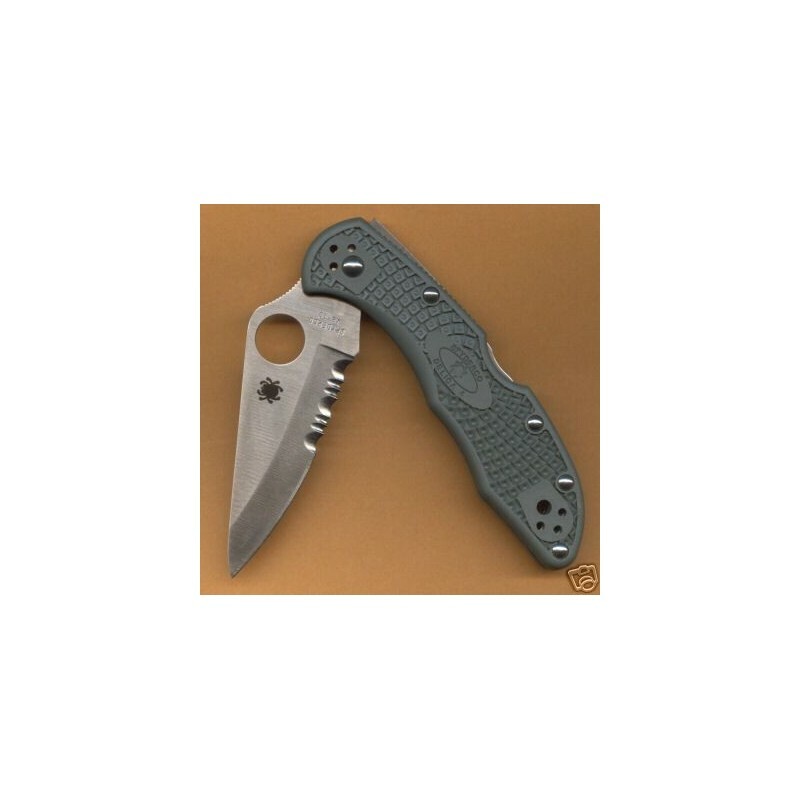 Spyderco Delica 4 - 4 1/4" closed lockback. 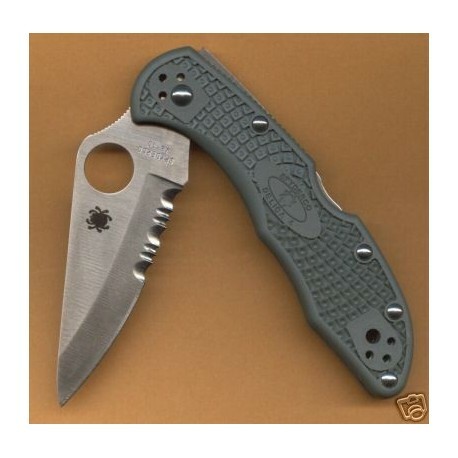 Partially serrated VG-10 stainless blade with thumb hole. 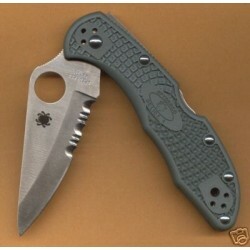 Military foliage green FRN handles with Bi-Directional texturing. Reversible black coated stainless clip.